By now most of us have a legion of outdated mobile tech products sitting around the house. Old phones, MP3 players and the like that we’ve upgraded from. You should be passingly aware that you can’t just toss them in the bin but short of posting them on Craigslist, what else can you do? 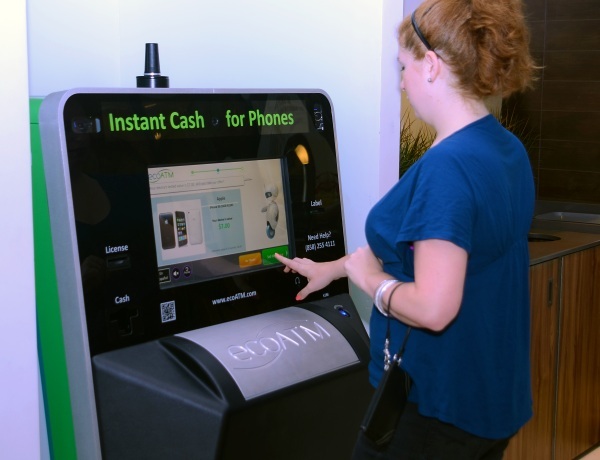 Enter ecoATM, the machine that recycles your tech for cold, hard cash. 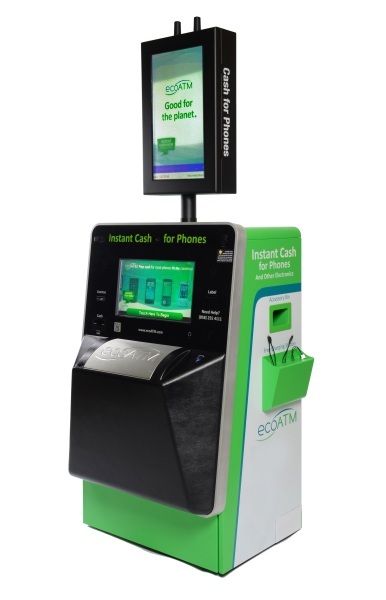 The ecoATM is a very simple device to use. You have to have an ID to use the machine and it only takes phones, MP3 players, and tablets. So basically your mobile devices. After scanning the device and verifying its condition, you are offered the highest price currently available. Once you agree to sell it, you get your money right there and then. You can even drop off your old chargers and cases. They aren’t good for cash but they can be recycled. Once you’ve signed over the device, they’ll be refurbished if possible or recycled which means that’s one less hunk of plastic in a landfill. EcoATMs are only located in the United States at this time but the site does say they are looking to expand.